BAKELY CIRCLE LOT - 5+ Acres! Seller invested $38, 000 in this property and has come to the conclusion they will not be moving to Minocqua and wants their beautiful property in an awesome location to have a home! 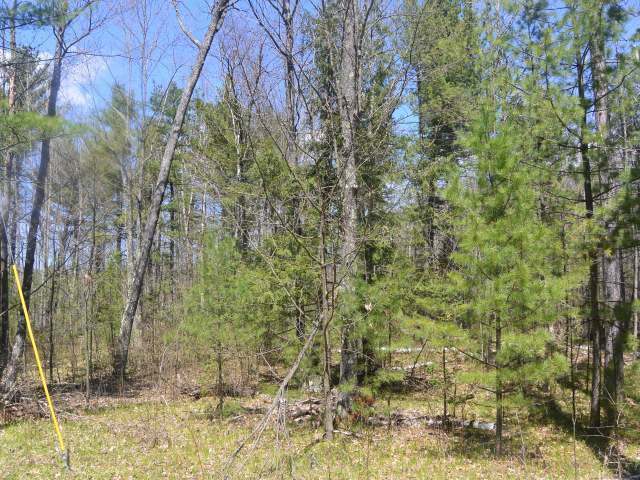 5+ wooded acres next door to Diamond Lake, Booth, Buckskin and Squirrel Lakes, not to mention 1, 000&apos;s more lakes to pick and choose from when you want to fish or enjoy a summers day boating. Your just 5 minutes to launch. Pick your building site...bring your building plans to the beautiful north woods.